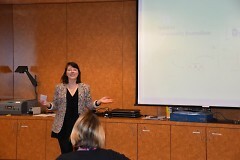 Tuesday, February 7, The Rapidian hosted the first of a two part community journalism workshop series at the Grand Rapids Public Library. The second workshop is February 21 from 12 pm - 1:30 pm for free with lunch included. Register here for February 21 at the Grand Rapids Public Library Main Branch. 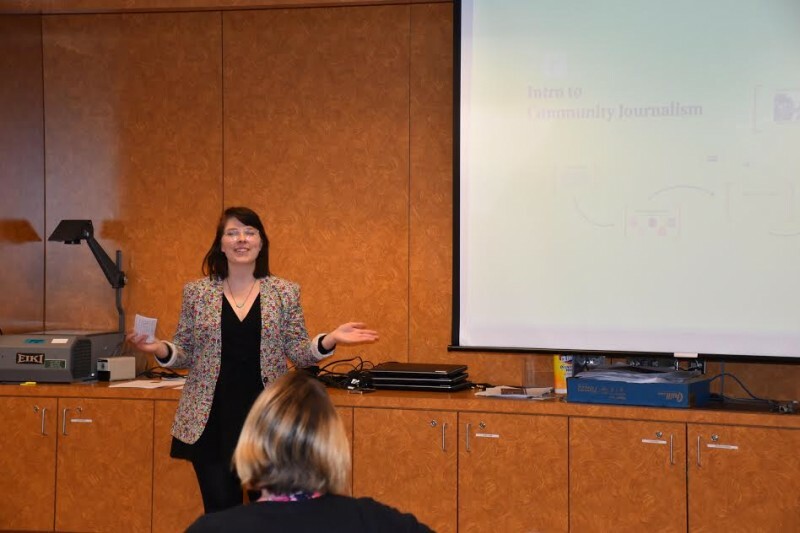 The Rapidian's Intro to Community Journalism Workshop began Tuesday with a presentation by Mariah Cowsert, Community Outreach Coordinator at The Rapidian. She explained how The Rapidian fits into Grand Rapids Community Media Center. Mariah interacted with the room and thanked everyone for the local funding and support The Rapidian has received since its launch September 15, 2009. She gave credit to the five branches of GRCMC and all of the work they are doing. Mariah discussed the importance of active listening and how since most journalism is done behind a screen, how beneficial it was to see everyone in person. Register for free. Get approved to write. Raise your voice. Mariah spoke on the value of raising your voice in the community. 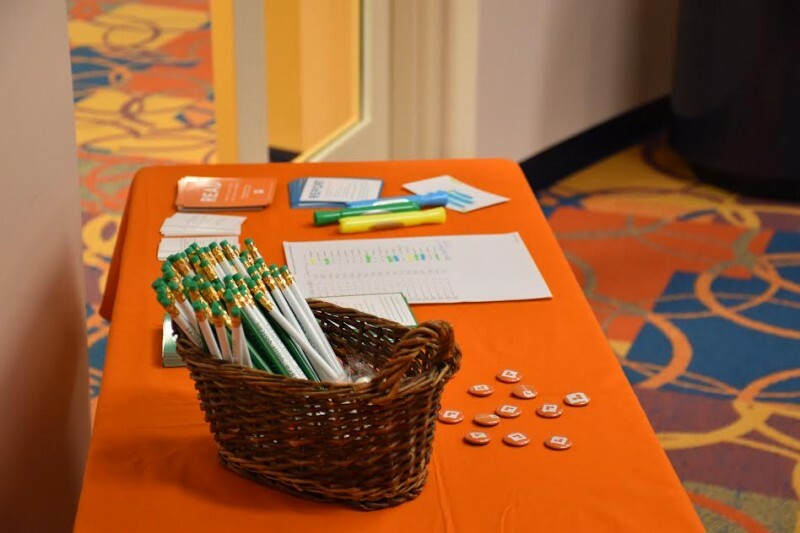 The participants shared what they are passionate about with the group, all with a single tie of connection with individuals and hearing people's stories. 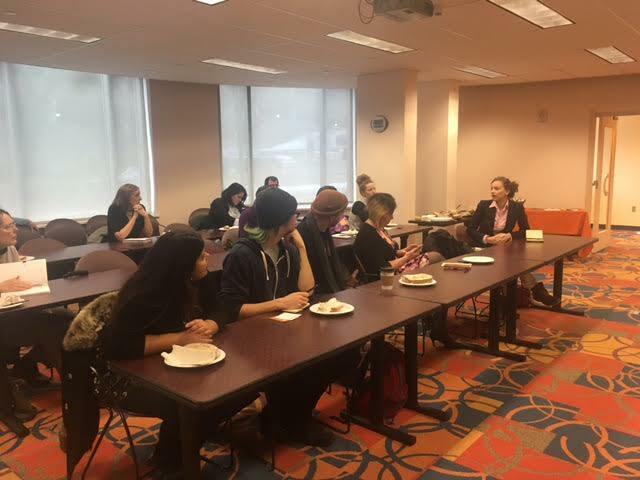 The workshop pulled in new members to the Grand Rapids community, as well as long term members looking to bring awareness to their neighborhoods or certain issues surrounding our community. There are many ways for Grand Rapidians to get involved. Any community member is able to register for a free account. There are internships available every season. Community members may also post any photos they take in and around Grand Rapids to The Rapidian's Flickr. People can get involved by word of mouth! Tell friends and share articles on Facebook. Come to events held by The Rapidian. The next one outside of the workshop will be at The Meanwhile on Wealthy, March 15. A portion of the profits will be donated to The Rapidian. Join us and raise a glass to community connection! Daniel Menjivar, a new member to the Grand Rapids community, spoke about his experience at the workshop. To learn more about what it takes, register here for our next workshop February 21. This workshop will be more interactive with helping participants with writing prompts and setting up accounts on The Rapidian. There will be a chance to ask more questions, learn the format and understand what makes for a thorough story. 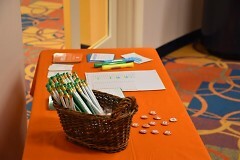 Stay tuned for more events and workshops to come.